DS9397 Frameless Shower Door Seal our T-shape glass door side seal. 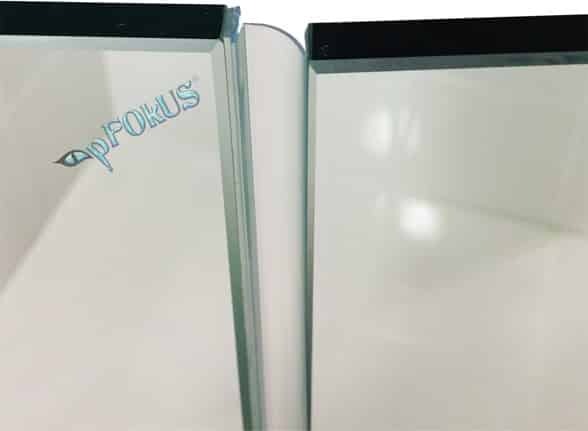 Adheres to the glass with our DS200 double sided tape sold separate or we carry a pre-taped DS9397 frameless shower door seal for easy installation. The T-shape is shaped seal is used for shower glass doors that swing in and out. 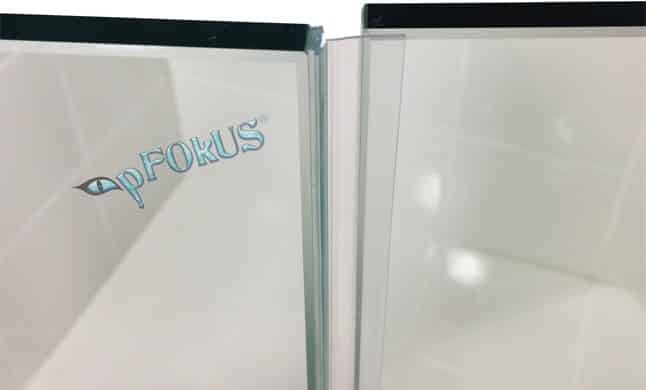 The image to the left shows the T-shape seal spanding across a large gap between the DS9397 frameless shower door seal and the glass side panel. 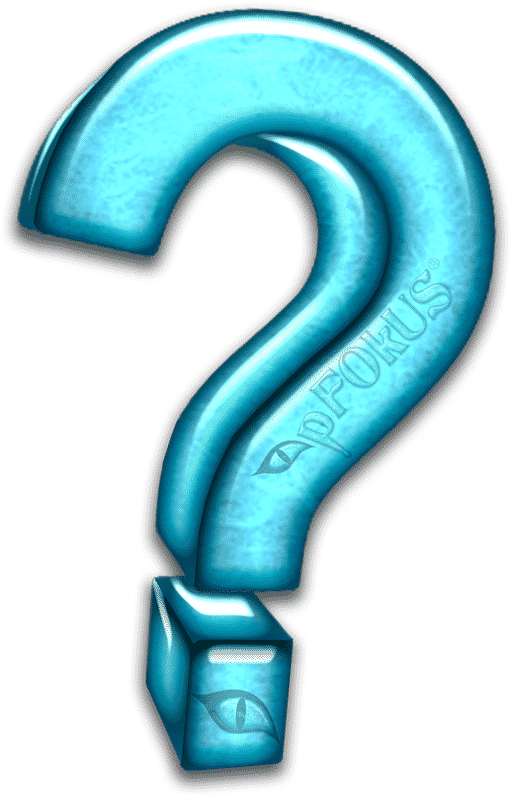 DS9397 can be used on the front or backside of the door. seal for our DS9371 sweep. The image to the right shows how the DS9397 our T-shape seal slides out of the DS9371 glass shower door sweep. 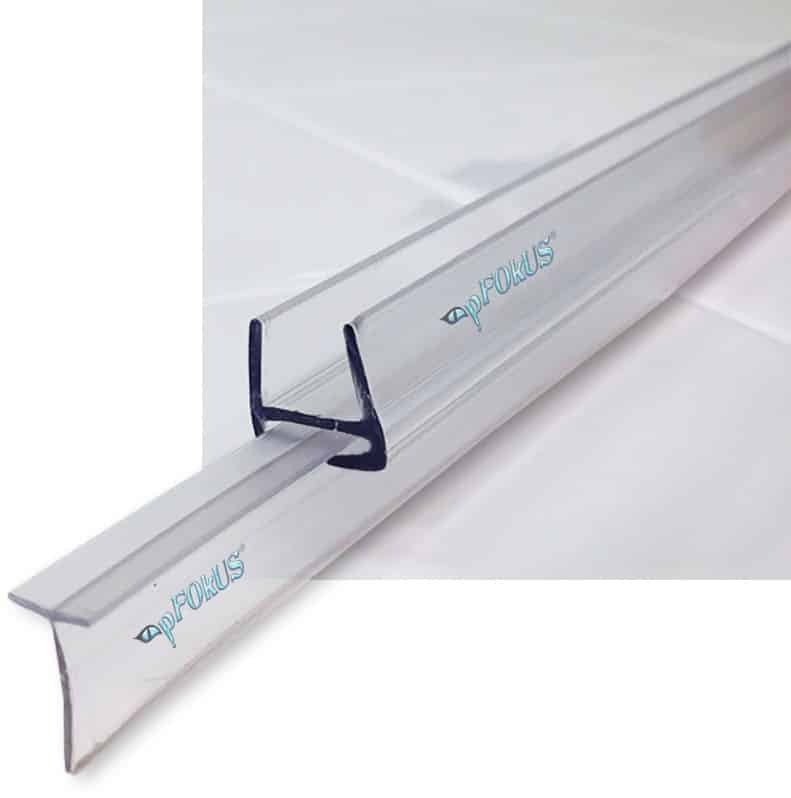 The replacement seal is less expensive and comes in a 32” or 36” length. 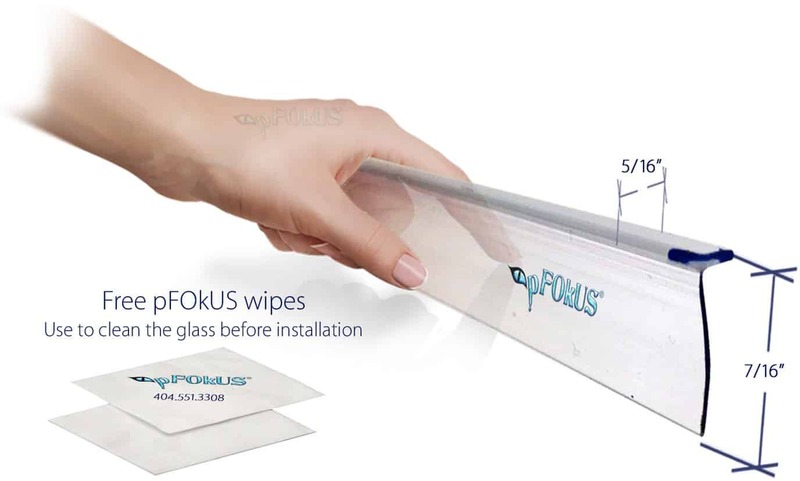 pFOkUS® waterproof double sided shower door tape has been manufactured to work with the entire line of pFOkUS® seals. 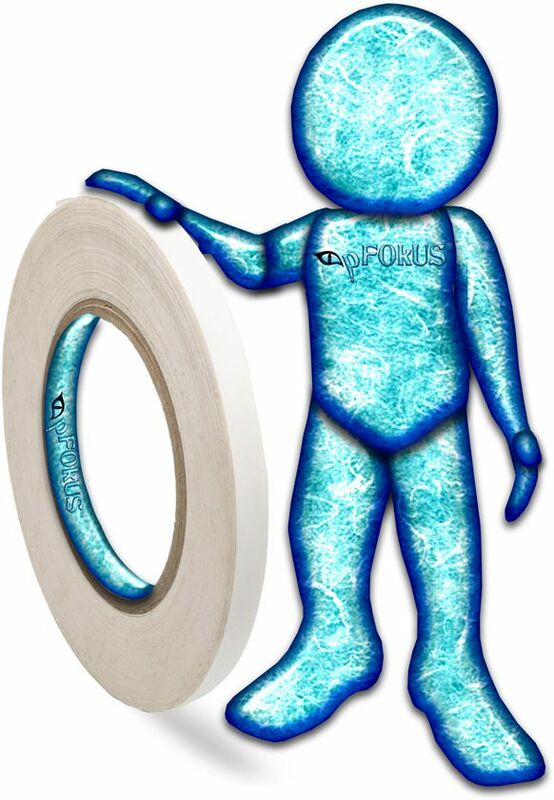 The pFOkUS® double sided tape come 36’ long in 1/4” and 1/2” sizes. We recommend to use our pre-taped seals as they are easier to install. Benaz has made removing all the water spots and etching from your shower glass door and enclosure with ease. With a white pad and a little elbow grease your glass will look new in no time at all. Shower glass sealants that create a hydrophobic surface (water beads) is not the best sealer to use. Once the water evaporates the minerals are left behind and they create water spots and etch the glass. 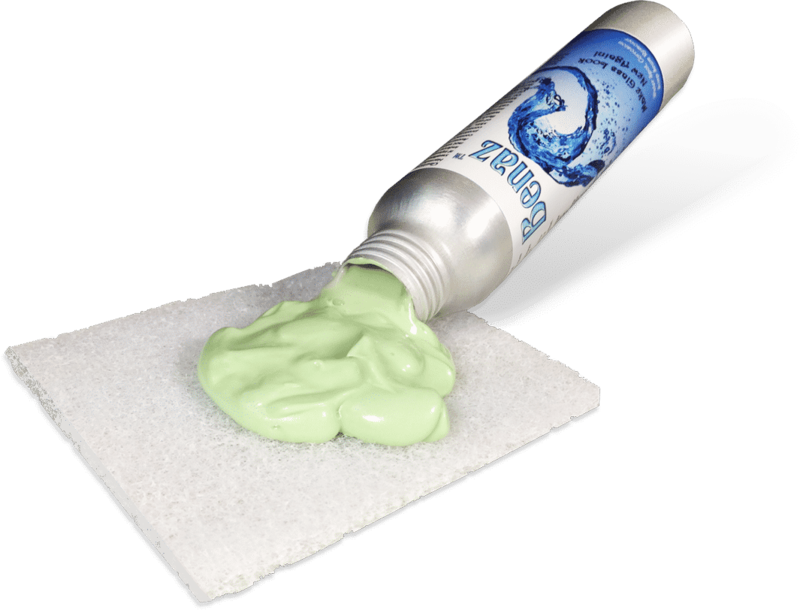 Valore creates a hydrophilic surface creating the water to sheet off eliminating water dots and etching.